Gibson House Press, 9780985515867, 232pp. 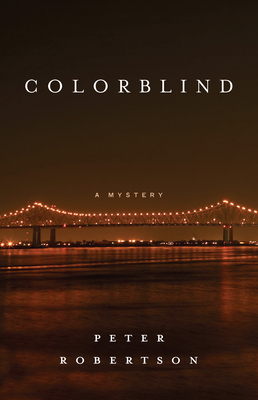 This mystery novel looks at the city of New Orleans through the eyes of a seasoned tourist and explores music both as a means of salvation and a road to obsession. An impulsive act of theft coincides with an inexplicable death in the suburbs of Chicago. A long drive south to Louisiana follows the trail of an obscure folk singer that had drowned years ago in trusted waters. Before all the connections between the two deaths can be revealed, a series of hunches will lead Tom to dark and depressing truths about the nature of fandom and the fallibility of instincts. In the hunt for answers, Tom rediscovers his own love of music, his suppressed vulnerability, and the realization that this time around not all his hunches are good ones. Peter Robertson was born and raised in Edinburgh, Scotland. He has been a book reviewer for daily papers and magazines, stay-at-home dad, soccer coach, university student, and elementary and middle school teacher. He is the author of Mission and Permafrost. He lives in Chicago.